This website is addressed to those who need to find contacts and information concerning their wish for training, coming either from the individual or from an institution. Besides, listening to our need to self reflection, an analytical and therapeutic journey is proposed, through which one can spot conflicts and hindrances to the evolution of one’s own identity. 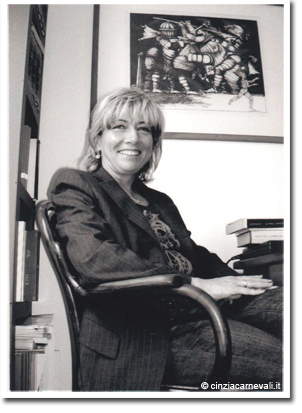 Here her personal experience is completely available, an experience which has grown in years through collaboration with the societies to which she belongs: Italian Psychoanalytical Society and and International Psychoanalytical Association.. Moreover, she is also available for groups thanks to her professional training, in particular with the technique of analytical psychodrama, acquired in the increasing demand of working with groups and institutions in modern society. In this respect the related Societies are the following: SIPSA ( ( Italian Society of Analytical Psychodrama) e COIRAG ( Confederation of Italian Organizations for Analytical Research on Groups) .